Last week I was in a rush to take the GarlicBaby to the local aquarium. I was putting the babyseat into the taxi when I turned my ankle on an uneven bit of pavement and broke my foot. Apparently I have a Lisfranc injury, which is pretty appallingly bad when you consider that it happened so quickly. 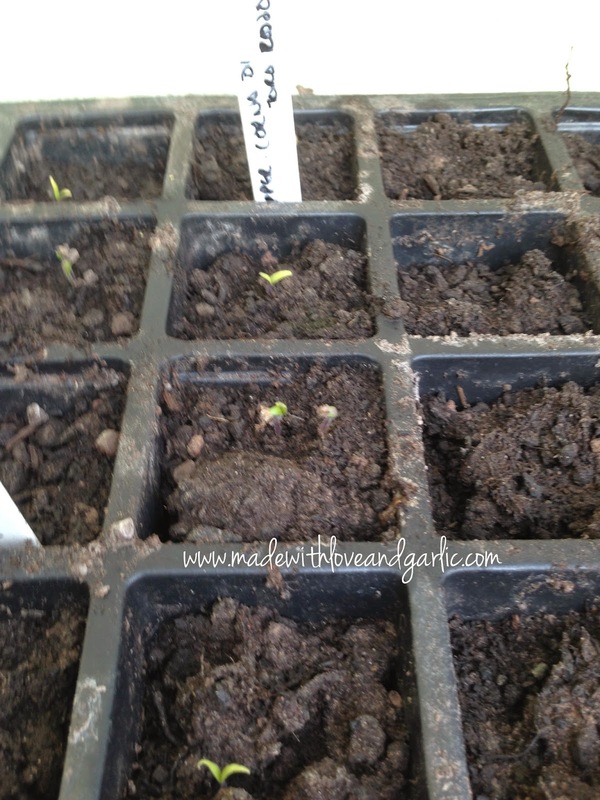 I’m in a hard cast now (and slowly going out of my mind with boredom) so it was with enormous joy that I noticed that my first seedlings are sprouting in the greenhouse! Look at that! Tiny shoots of joy and happiness. I am taking great care of my tomato, pepper, aubergine and tomatillo futures. I’ve been placed under house arrest too, until my hard cast comes off. So it’s with incredible eagerness that I await the warmer and sunnier weather because I’m calling my tiny city garden part of home and going to try to spend as much time out there as possible. Of course, I can’t carry anything anywhere because I’m on crutches, but I’ll have to demand that Mr Garlic bring me soil and seeds and pots. I’m determined not to miss the sowing season! Oh my goodness, I hope your ankle heals soon. It's hard to believe that so much damage can be done from, what seems like, an everyday accident. Take it easy and let Mr Garlic take the strain, I always get Mick to do my fetching and carrying for me anyway. So sorry to hear about your ankle – hopefully it heals up quickly. 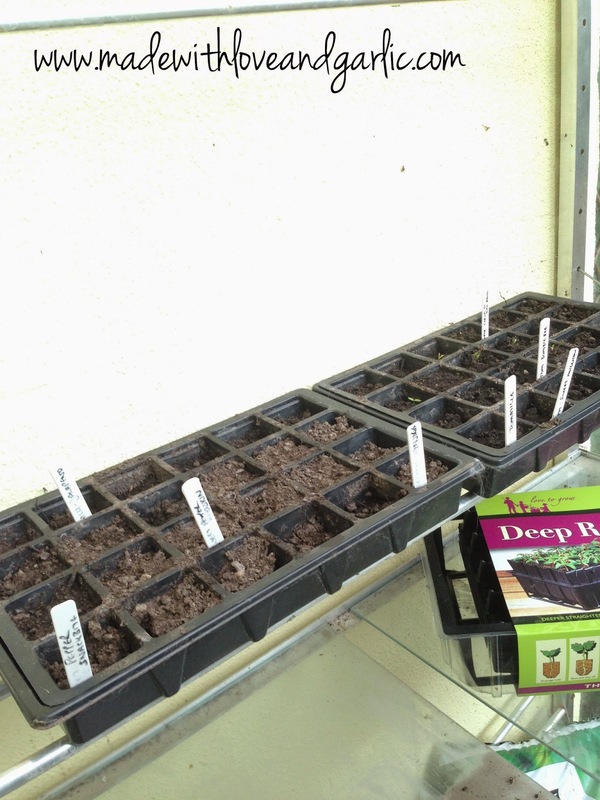 The first seedlings of the year always make me excited – who am I kidding, I feel like that all through the year when any of my seedlings come up! Thank you both, how kind! I hope that it'll heal fast, but until it does, I'm out there planting with my foot propped up on a chair next to me and the baby swaddled in his pramsuit in his travel cot! Elegant? No. But it does the job. Margaret – I know what you mean. Every time I see something grow, I get so excited. When I came home from having my son in the hospital last summer, the first thing I did when I got home (after greeting the cats) was to hobble outside and crow in delight at all the new berry crops!